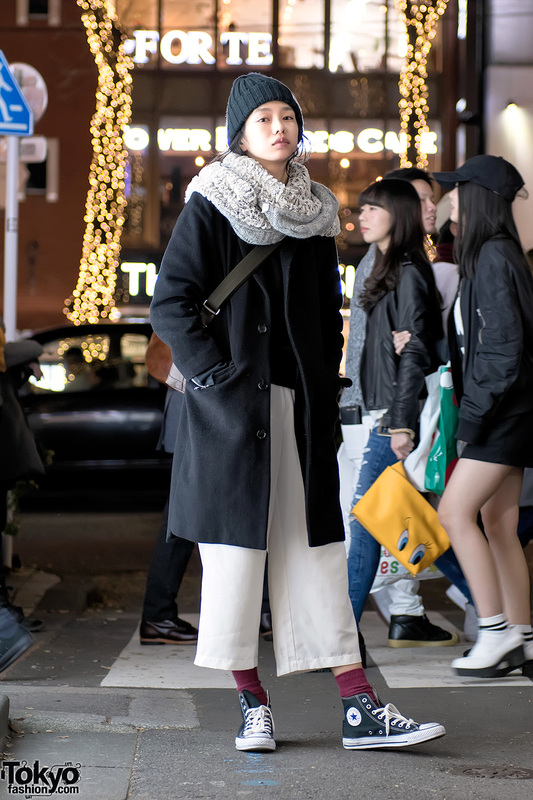 Harajuku girl in a wool coat, beanie, cowl scarf, cropped pants, and Chuck Taylor high top sneakers. 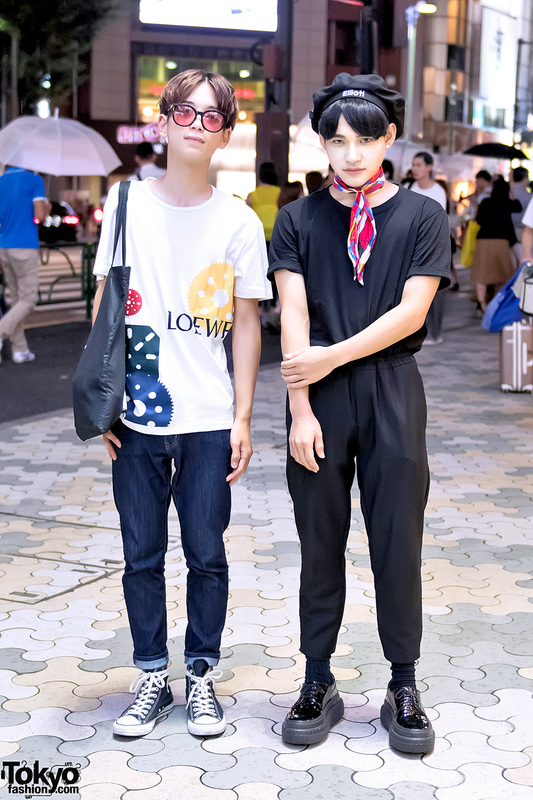 Harajuku guy wearing Gentle Monster sunglasses and Loewe t-shirt with Harajuku guy in neckerchief, Acne Studios patent platforms and Ellioti beret. 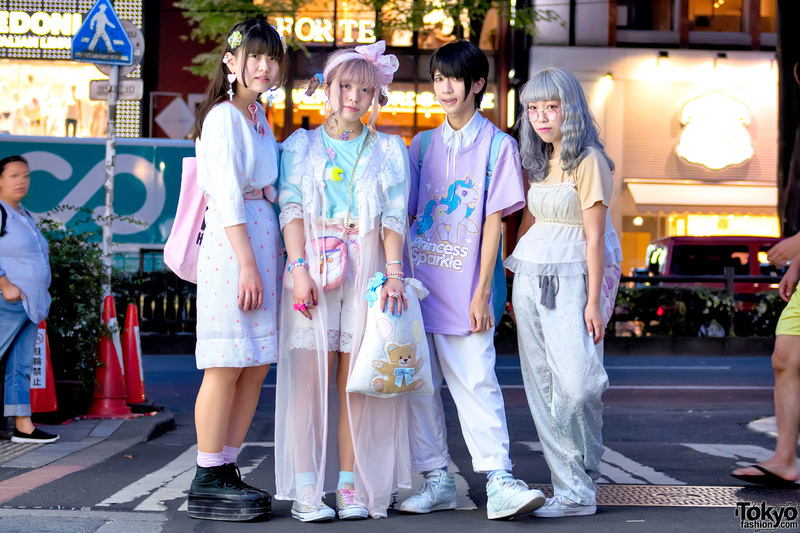 Harajuku friends in colorful fashion, pastel hair hair, sneakers, and lots of cute accessories. 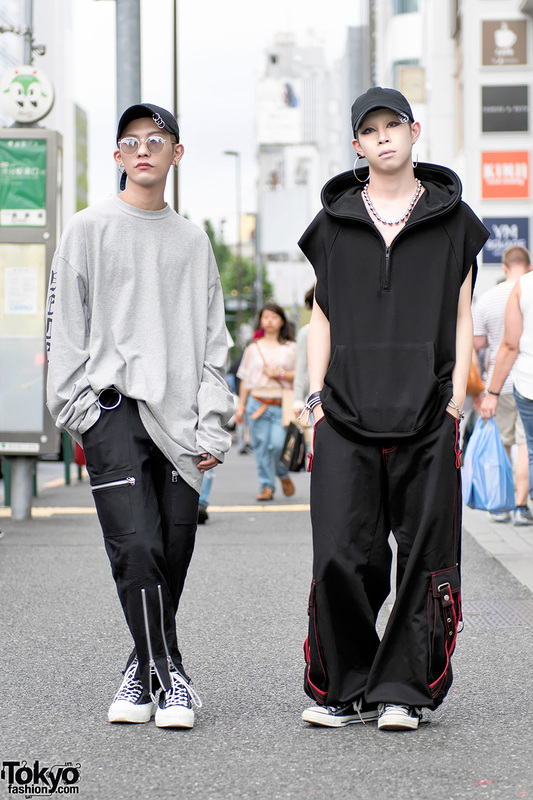 Harajuku high school students in vintage wide leg satin pants with hoop earrings, dragon print, Nadia Harajuku platform creepers, and Converse sneakers. Harajuku girl with bob hairstyle and glasses wearing an oversized jacket and t-shirt with leggings, star-print backpack and Converse sneakers. 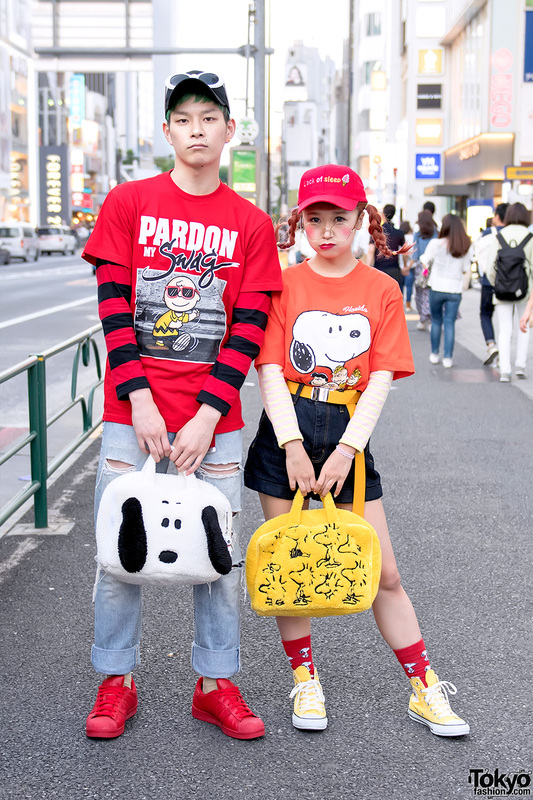 Harajuku girl with pastel hair and glasses wearing an all-over print sweatshirt with harness pants, pink sneakers and colorful accessories.